At Aviv Service Today, our mission is simple: to offer high-quality, “old-fashioned” customer service by treating our customers the same way that we would want to be treated when calling for service. 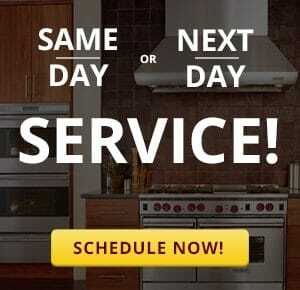 I am delighted that you have selected Aviv Service Today for your appliance service needs. I have been in the repair service industry for over 25 years and I have witnessed the lack of quality presented by some companies. These days whether calling for service, cable, or doctors, it seems difficult to even get a live person on the phone at times. As the Director of Operations, it is my goal to offer the highest quality service at a fair price and to do it as quickly as possible. I hope that you will find your service experience to be nothing but favorable and I invite you to partake in our Customer Satisfaction Survey to provide me with critical feedback about our company. Please do not hesitate to contact us directly at our office or by email. Try us once and I am sure that you won’t ever need to contact another company for your appliance service needs. CHARLESTON, SC: West Ashley, James Island, Johns Island, Daniel Island, Mt. Pleasant, Downtown, North Charleston, Summerville, Goose Creek, Ladson, Hanahan, Hollywood, Ravenel AND the following Beach Towns/Islands: Folly Beach, Sullivan’s Island, Isle of Palms, Kiawah Island, Edisto Island, and Seabrook Island. At this time, we do not service McClellanville, Awendaw, or other outlying regions of Charleston, Dorchester, and Berkley County. We service residential ranges, cooktops, ovens, warming drawers, vent hoods, down drafts, refrigerators, dishwashers, trash compactors, wine coolers, ice machines, dryers, and washing machines. We DO NOT service commercial appliances, microwaves, televisions, irons, or other small electronic devices. What is your Service Charge and is it applied to the repair cost if I get a repair done? Our service charge is $89.95. All businesses, landlords, and the following areas are subject to a $94.95 service charge: Dunes West, Wild Dunes, Coosaw Creek, Kiawah Island, and Seabrook Island. Brands considered to be High-End, Built-in Refrigerators, Ice Machines, and Wine Coolers are subject to a $109.95 service charge. The Service Charge covers the cost of bringing a fully-trained technician and his mobile service shop to your home to diagnose the problem with your appliance and give you the cost of repairs. We do not apply the service charge toward the cost of the repair because this is an outdated and old trick of trade that companies use to make you believe you are getting a better price overall. The truth is EVERYONE gets their service charge in one way or another. Those companies that bait their customers with this philosophy, for the most part, are simply charging a higher repair cost to recover the service charge that they are “not charging” you. Our policy is to be honest and upfront about EXACTLY what you are actually paying for. We accept Visa, MasterCard, American Express, Discover, Cash and personal checks with valid ID. Please note: We do not accept Counter Checks or Checks without a Driver’s License Number. Can your company bill me? All residential calls are C.O.D. ; however billing is reserved only for businesses and requires a billing contract to be set up and other criteria to be met. We are also able to accept credit card payments over the telephone. Please contact our Office Manager for more information. How is your pricing structured? After the initial service charge, the technician will quote you a “Repair Cost.” The Repair Cost includes all necessary parts, labor, and our warranty guarantee. Service rates are not based on the time a technician spends in the home. Operating a service organization involves a tremendous amount of costs that are unseen by the customer yet are vitally necessary to perform prompt and efficient service. These expenses include rent, vehicle gas and maintenance, payroll, advertising, and many other overhead costs. We do not try and fool anyone into believing that their repair costs does not cover some fraction of our overall operating costs and not just the actual part and labor cost. Furthermore, we prefer using the REPAIR COST method because the fact is that some technicians are faster than others and it would be unfair to charge you an hourly rate that would be based simply on the time that it took the technician versus what the repair actually should cost. When can I expect you to come? You can normally expect us to come to your home or business the same day that you call, unless it is particularly late in the day when you call. We do not offer exact appointment times for many reasons, but we also don’t expect you to sit around waiting all day for us either. We work with the requests of many customers and do our very best to accommodate everyone. We offer flexibility with scheduling such as giving you time in advance to meet us, and giving you updates throughout the day as to where you are on our schedule. There is a live person in our office Mon-Fri 8a.m.-6p.m. and Sat 8a.m.-1p.m. that can answer any of your scheduling questions. What is your warranty on your repairs? For all completed repairs, we offer 90 days service warranty and 5-year parts warranty. To read more details on our warranty, click here.